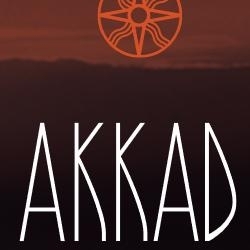 Lubin Akkad Sample Fragrance Notes for Akkad: Head notes: Mandarin and Bergamot from Italy, Essence of Clary Sage. Heart Notes: Essence of Cardamom, Elemi, Frankincense and Styrax. Fragrance Notes for Akkad: Head notes: Mandarin and Bergamot from Italy, Essence of Clary Sage. Base Notes: Amber and Cistus-Labdanum, Vanilla and Patchouli. Delphine Thierry, who composed this creation, imagined an amber note that is both spicy and luminous. The opposite therefore of the dark, mystical ambers that bring to mind the smoke of frankincense in ancient temples. Akkad amber opens with an aromatic citrus head note of mandarin and bergamot, enhanced by clary sage. Clary sage, also known as “the sacred herb”, is renowned for its euphoric, harmonising properties. the heart unfolds in the rich, balmy, spicy notes of frankincense and styrax, evocative of the ancient east, cooled by elemi, a fresh, soothing herb, and intensified by cardamom. The base with its two ambers of plant and animal origin centres on the woody richness of patchouli, sweetened with a sensual vanilla. Born more than 5,500 years ago from the civilisation of Uruk that invented writing, Mesopotamia (modern-day Iraq) stretched between two rivers, the Tigris and the Euphrates. The “archaic dynasties” of some 5,000 years ago, when the territory was divided into city-states, were replaced around 2,300 BC by a unified empire under the rule of a mythical sovereign, Sargon. Not only was he a conqueror, but also a visionary, forerunner of a civilisation of which we today are still the heirs. Abandoned as a baby in a wicker basket at the River Euphrates by his mother, a priestess, he was taken in by the king’s cupbearer and gardener, Aqqi, who brought him up at the court of Kish, where the ambitious boy would eventually succeed the king. I am Sargon, powerful sovereign of Akkad, who was brought up by Aqqi, the gardener of the great marshes between the Tigris and the Euphrates. Essence of Akkad is a gift from the beautiful Ishtar, who loves and protects me. It contains all the most precious ointments from Punt, and also those from the islands of the great sea, and others from still further afield. This amber is the light that shines on my kingdom. It is my empire’s most precious treasure.